The suite uses animated tens and units “blocks” to give learners experiences from place value to the full notation of addition and subtraction bridging ten. Explore: See the effect of adding units or tens and taking then away. Make the Number: An activity with a learning mode and an assessment mode. What’s the number? Identify the number made by the blocks. Sums with blocks Addition and Subtraction including the bridging of ten. Written Sums: Notation of sums, including carrying and decomposition. 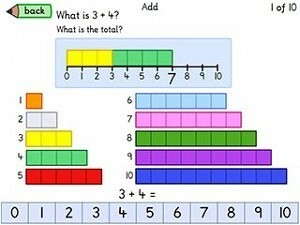 Practise addition and subtraction in the range 1-10, using on-screen number blocks. Number Bonds and subtraction can be reinforced and tested. Tags: adding, addition, subtraction, take away, to 10, sums, numeracy, maths, 1 to 10. Practise addition and subtraction in the range 1-10, using on-screen number blocks. Number Bonds and subtraction can be reinforced and tested. Activities to familiarise learners with numbers to 20, 50 and 100 and the stations of the times tables up to 10. Hear the Number and Find the Number are speech supported activities that reinforce learners’ understanding of two digit numbers and their relationships. In Times Tables Stations learners count on to build the patterns that underpin the times tables. Activities to familiarise learners with numbers to 20, 50 and 100 and the stations of the times tables up to 10. Hear the Number and Find the Number are speech supported activities that reinforce learners’ understanding of two digit numbers. In Times Tables Stations learners count on to build the patterns. Practise sequencing numbers by placing counters on a table. 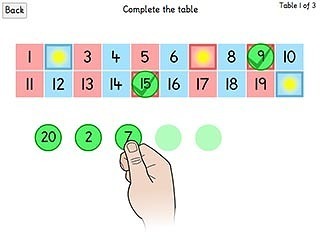 Users are shown a complete number table, then after some numbers are removed, the user fills in the blanks using counters. The number tables can be set to specific ranges including: 1-10, 1-20, 1-50 and 1-100. Doorway Up to 10 allows users to practise the essential skill of counting items within the range 1-10. Numbers are spoken as you count. 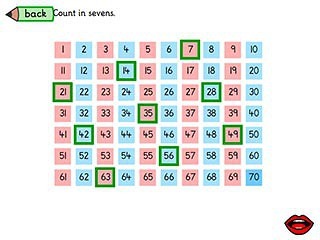 Users can choose to use structured patterns for the numbers 1-10. 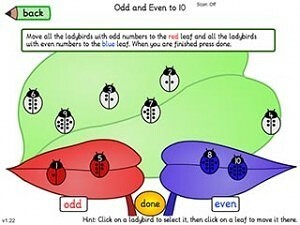 This will enhance their ability to recognise number patterns. This application is compatible with the commonly used structured early maths schemes. Practical activities to establish the essential concept of Odd and Even. The development of this activity has been funded by the RS McDonald Trust. We are very grateful for their support.